Alternate Colors Available! This lovely Bat Mitzvah invitation is digitally printed on 110# Pearl Ice Shimmer card stock and features the name of the Bat Mitzvah framed by fancy flourishes. Alternate Colors Available! 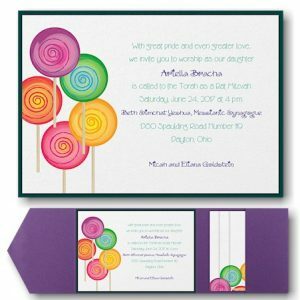 This lovely Bat Mitzvah invitation is digitally printed on 110# Pearl Ice Shimmer card stock and features the name of the Bat Mitzvah framed by fancy flourishes. Measures 5-1/2″ wide by 8-1/2″ high. 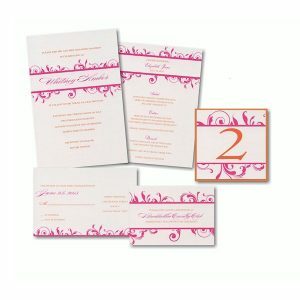 The coordinating Reception and Response enclosures will print on matching single card stock and the Thank You notes will print on white matte folder stock. 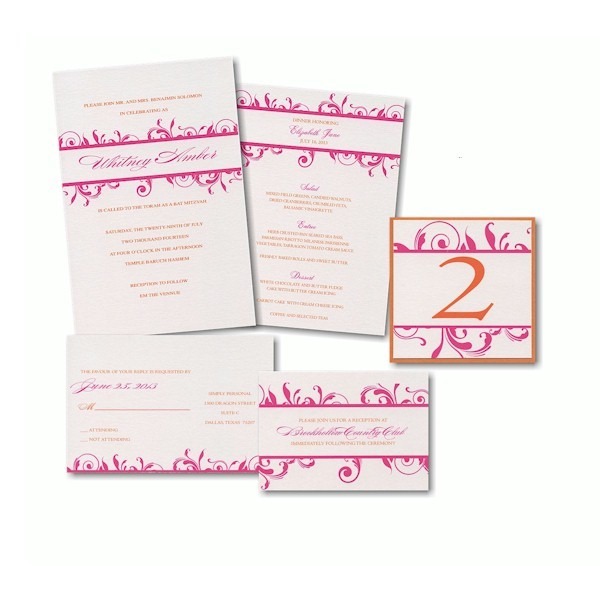 This Bat Mitzvah invitation comes with single white matte envelopes.